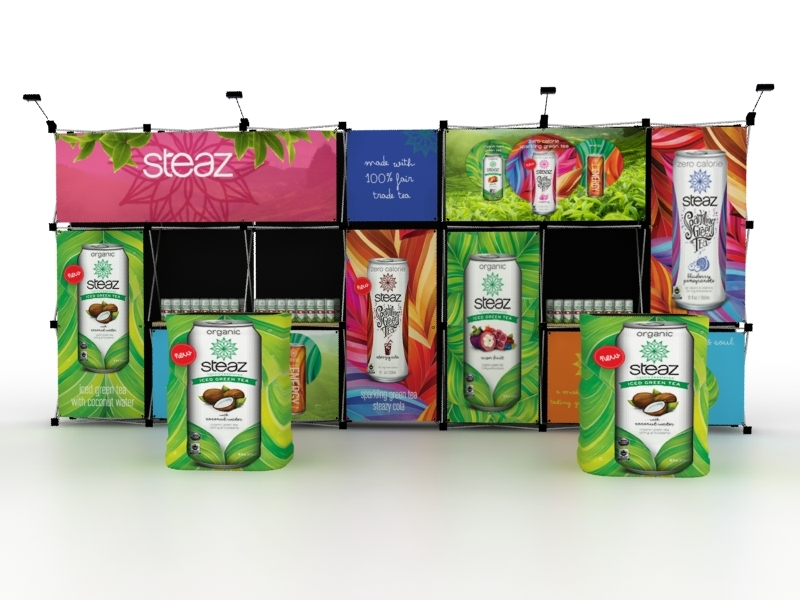 The Quadro Floating Graphic Pop Up (FGS) is an excellent choice for a high-quality, versatile pop up display. 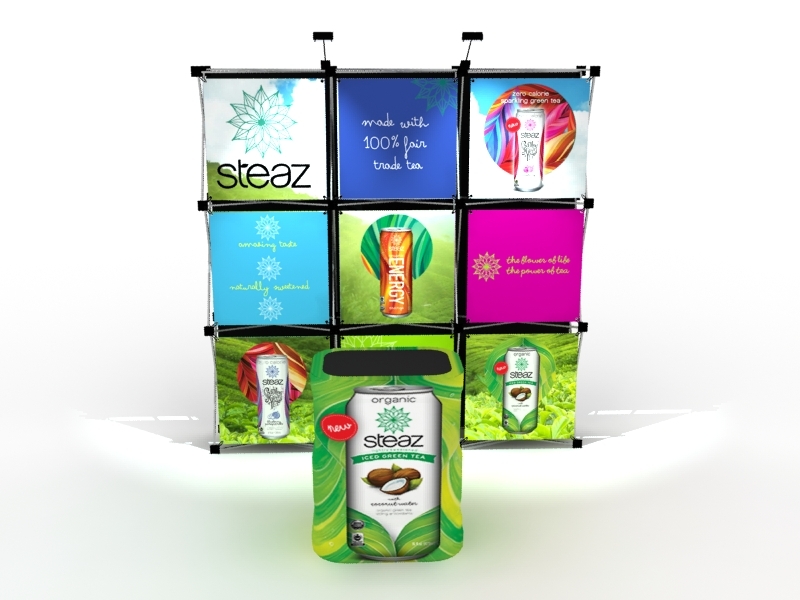 The individual graphics attach in seconds, making set-up fast and changing graphics a breeze. You'll be show ready in 15 minutes or less when you choose an 8 ft., 10 ft., or 20 ft. kit. The Quadro FGS packs in durable roto-molded cases with wheels for convenient shipping and transport. The "no worries" aluminum frame has been assembled in the USA since 1997 and comes with a lifetime warranty. 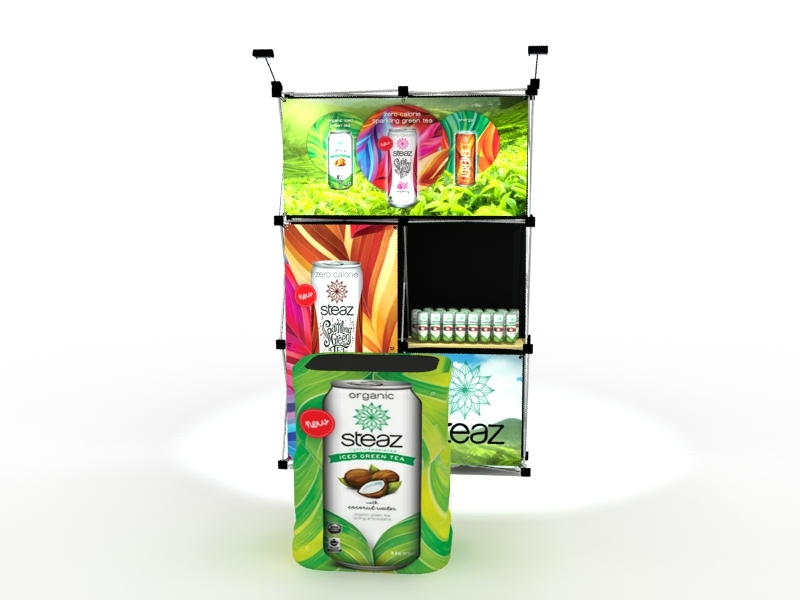 Multiple graphic sizes are available, in addition to shadowbox shelving and lighting.